I live, work, attend school, or worship in Washington State. I have a family member who lives, works, attends school, or worships in Washington State or am related to an existing Member of the Credit Union. I am an existing member of the Credit Union. Establish your Kitsap Credit Union membership with just $5.00! Get an extraordinary 3.00% APY on your checking account for doing things you are probably already doing! Simple checking account for those that don’t need checks. This no fee, fully mobile checking account is made to go with you! This no frills, free, everyday checking account allows for easy money management. Choose from a variety of great savings products designed to minimize fees while providing competitive rates. Take advantage of higher returns on your larger deposits. Access your funds any time through online banking, checks, or unlimited in-person withdrawals. Benefit from compounding interest while earning a higher rate of return than on a savings account. 2. Would you like to opt into Courtesy Pay Overdraft Coverage for your Checks, ACH, or recurring Debit transactions?For more information, click here. 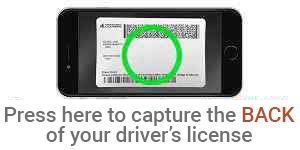 You may take a picture or upload a copy of your ID document such as driver license or passport. 1. What helped you select KCU for your Financial Institution?